Former U.S. Olympic and current UCLA gymnasts Kyla Ross and Madison Kocian have added their voices to the over 150 women who have spoken out against the sexual abuse they experienced from disgraced and imprisoned doctor Larry Nassar. 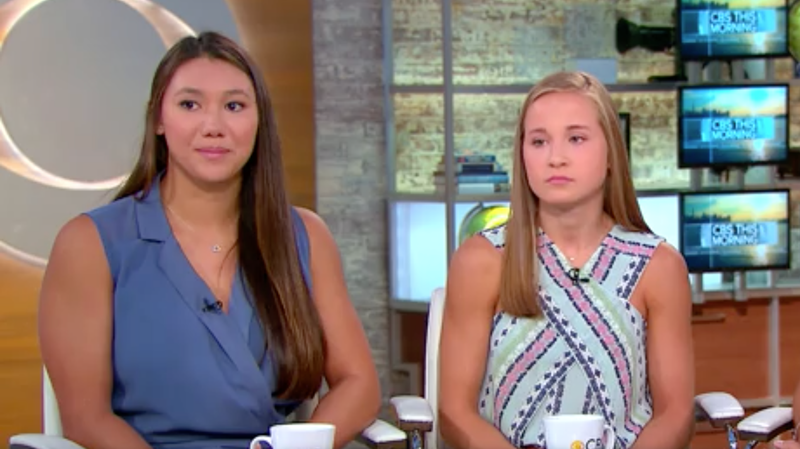 Ross, an Olympic gold medalist on the 2012 team, and Kocian, a gold medalist in 2016, went on CBS This Morning today to talk about Nassar and the culture within U.S. Gymnastics that enabled him. Both Ross and Kocian said that USA Gymnastics has yet to reach out to them about the abuse. USA Gymnastics currently is being sued by multiple former gymnasts for their role in Nassar’s abuse. With Ross coming forward, every member of the 2012 U.S. women’s Olympic gymnastics team has now said that they were abused by Nassar. Four of the five women on the 2016 team (including Aly Raisman and Gabby Douglas, who were on both) have said they were abused.